1 image. 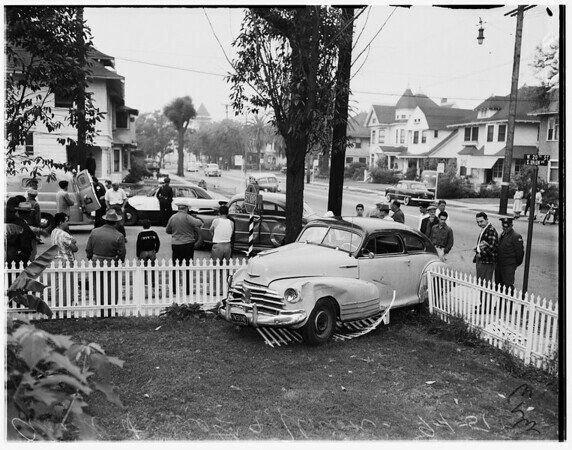 Accident...Twentieth Street and Union Avenue, 01 September 1951. General view of two cars that collided, and ambulance from Georgia Street Hospital in left rear. Treating woman driver of one of the cars.